Cara grew up with two younger siblings Heidi and Ben riding ponies and horses on her parents’ farm. 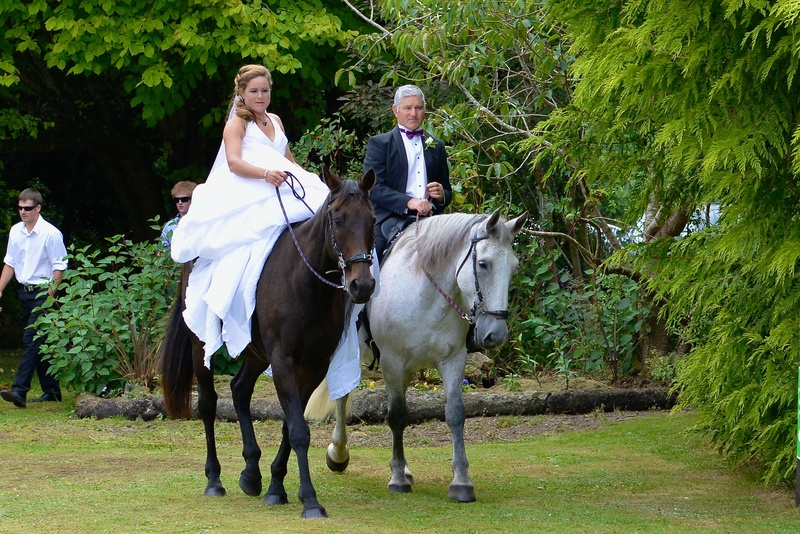 Cara has certificates up to NZ Pony Club B cert, has ridden in many pony club competitions, A&P shows and other equestrian events throughout Otago, Southland, Canterbury and overseas. 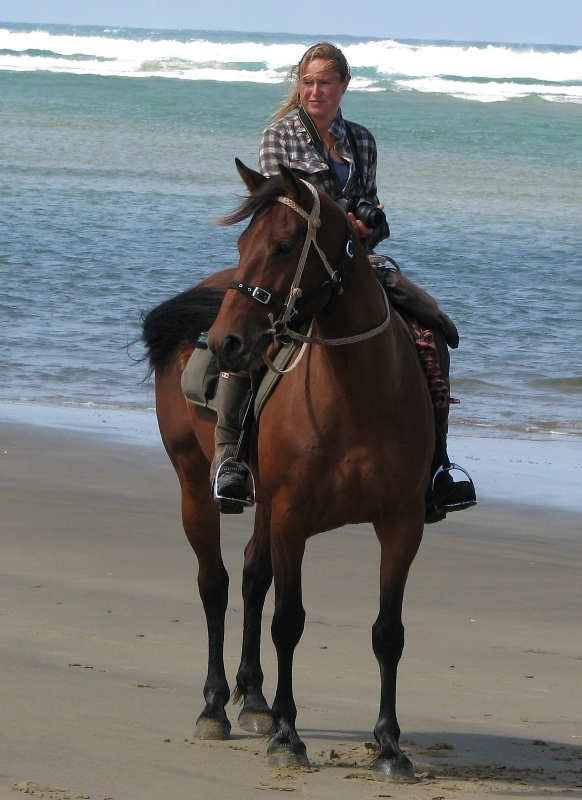 Catlins horse riding was started as Cara’s solution to self-employment when she returned to her parents’ farm following tertiary studies. While spending a year overseas, Cara’s realised how special ‘The Catlins’ area and family farm are. 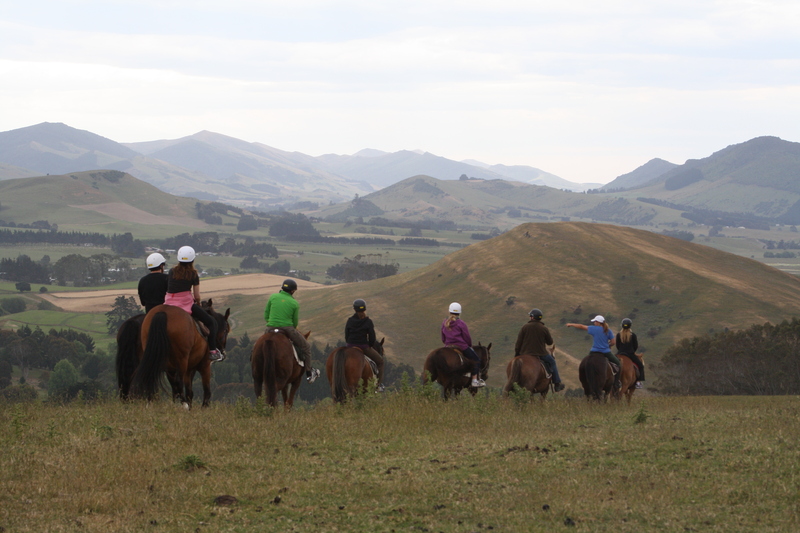 Te Taunga Adventures Ltd/Catlins Horse Riding now boasts a band of 16 horses and riders from around the world come to enjoy the views of vast farmland, native forest, quiet country roads, and some of the most unspoilt rugged coastline in the country. While overseas as an exchange student, Cara was often asked to help with grooming and rode in a demonstration at the Prince George Royal show due to her competition background. 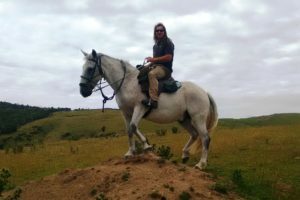 Cara enjoyed learning and developing her riding ability through the art of western riding and incorporates this into the treks. Most rides are guided by owner operator Cara and her husband Neil. Extra guides include family members and close friends. 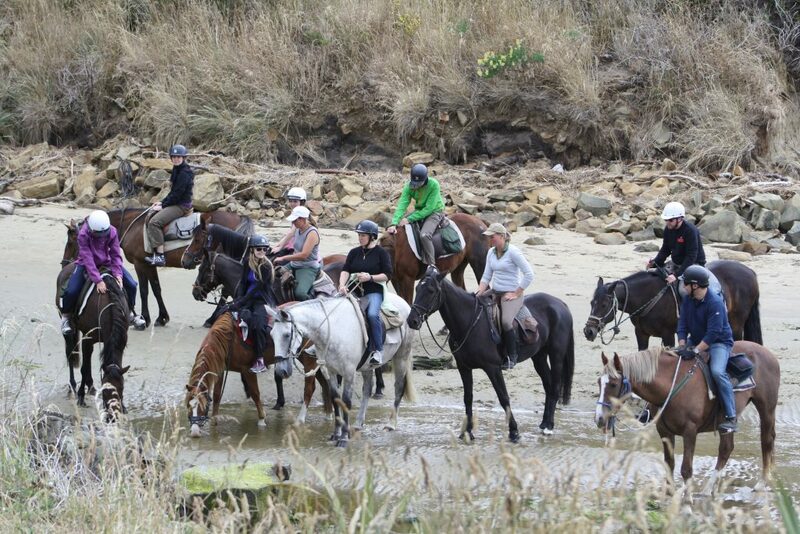 Every ride is personalised by Cara or Neil as they negotiate riders with a range of experiences and expectations. “The greatest temptation in life is to confuse your dreams with reality.